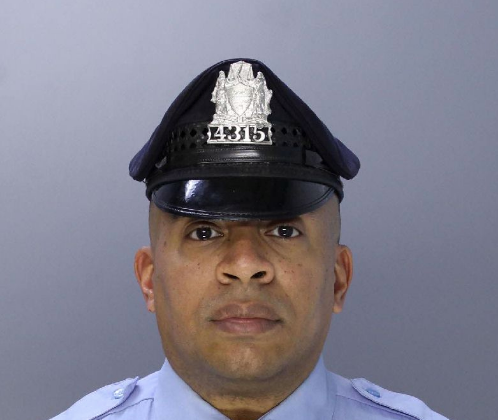 A Philadelphia police officer who was shot in the face on Aug. 6 by a homeowner who mistook him for an intruder, is in critical condition. The homeowner, 59-year-old Ricardo Giddings, who mistakenly shot Officer Jason Potts, was shot in the ensuing exchange of gunfire with police and has died from his injuries. The homeowner’s wife, who suffered a bullet wound to the abdomen, is in critical but stable condition. Her wound was caused by an apparent ricochet bullet from the SWAT team, according to Police Commissioner Richard Ross. Police were attempting to execute a search warrant at the 4800 block of Knox Street, Germantown for the couple’s 20-year-old grandson in relation to weapons violations. Their grandson has since turned himself in. Ross said that it seems Giddings thought that the police were home invaders. He added that the police announced their presence three times but were apparently not heard. “My dad heard and told my mom to run. Somebody is breaking in,” said Giddings stepdaughter, Laquisha Johnson. Potts suffered the bullet wound to his face just moments after entering the home. According to police, it was Potts’s partner who shot Giddings. Ross said, 49-year-old, Potts, suffered a number of injuries, including a broken jaw and possible artery damage. The 20-year veteran of the police force who was scheduled to soon begin vacation, is expected to survive his injuries, according to officials. However, he has a long recovery road ahead of him. Ross said that he is trying to work out how the tragedy could have been avoided. “You always look for ways to do things better, but as of right now, as you ask that question, I’m trying to go through my mind what could have happened differently,” he said.